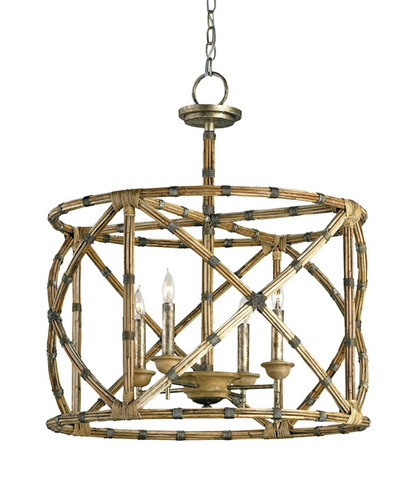 Appealing in its simplicity and form, the Palm Beach lantern showcases a great combination of bamboo and wrought iron with its graceful curves and detailing. The hand finishing process used on this chandelier lends an air of depth and richness not achieved by less time-consuming methods. This fixture measures 25"W x 25"D x 28"H and takes four candelabra bulbs with maximum of 60 watts each.